Last weekend our ward participated in our local Stake Roadshow, the theme this year being "Don't Stop Believing." Our script writers came up with the story of a little girl who believed that her pig could fly, and no matter how many people told her how ridiculous that was, she did not stop believing in her little pig and went on to show the world, on a live TV talent show, that he could indeed fly. 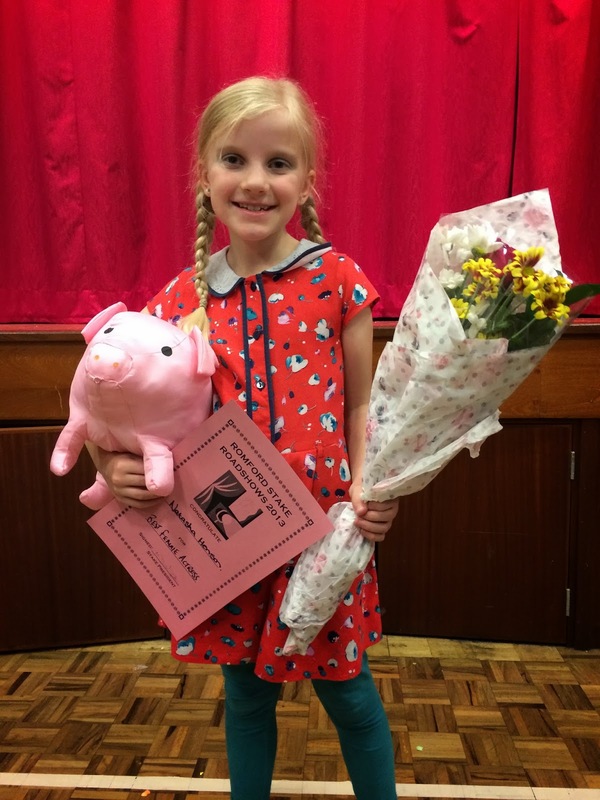 We had a wonderful time putting our little production together, and it really paid off because not only did we win (joint with another ward), but we also took home half of all the other awards, including best theme/content, best music, best scenery, best pre-show act and my daughter won best actress! 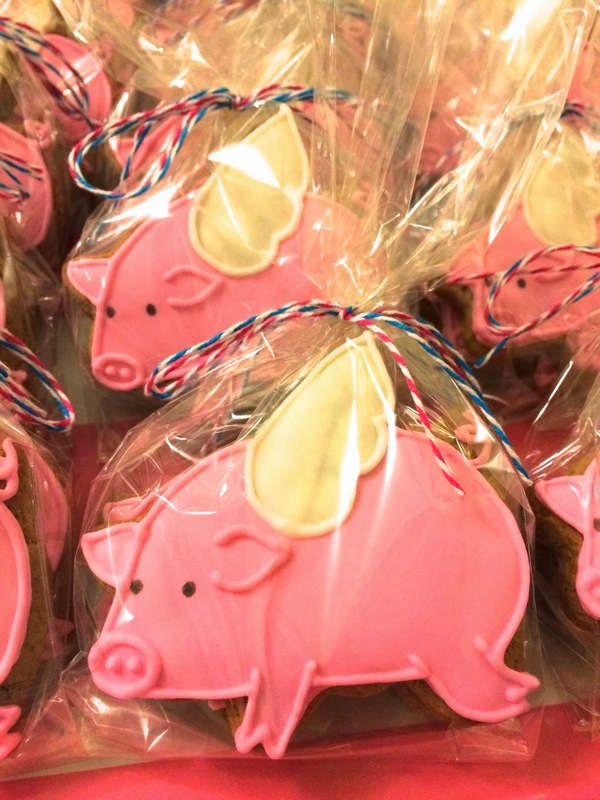 As a thank you to all the cast and crew involved (as I was the director), I decided to make them all some flying pig cookies. And here is how to do it. Prepare a batch of Gingerbread Cookie Dough, then cut out little flying pig cookie shapes using two different cutters - a pig and an angel's wing. The wing is a very simple shape and could be cut by hand if you don't have an appropriate wing cutter to hand. I decided that I didn't like the shape of the angel's wing, so I cut it off to a point. Bake the cookies and leave to cool. Meanwhile, mix up some pink and white 20 second royal icing and get it into piping bags or bottles. Once the cookies are completely cold, you can begin icing them. Outline the wing area with the white icing using a size 2 tip (2a), then fill in (2b). Allow the icing to set as before. 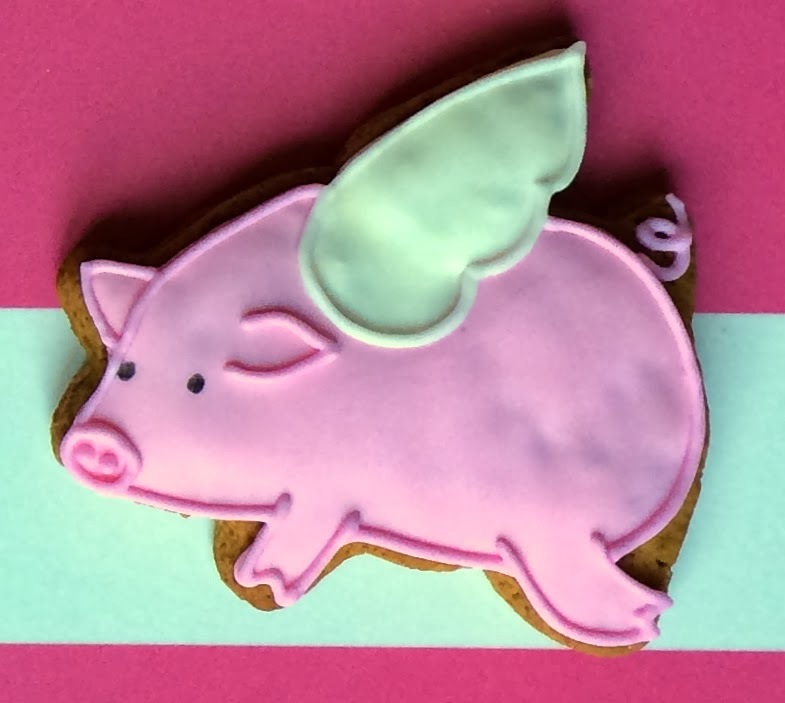 Using a size 2 tip and the pink icing, outline the pig's body, completely avoiding the wing. Add details, including a snout, ears and a curly tail. Now outline the wing with the white icing and size 2 tip. Add eyes with an edible marker. Package in a cellophane bag and tie with butchers twine or a ribbon. Thank you so much for sharing this. I just love these cookies!